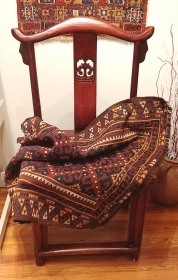 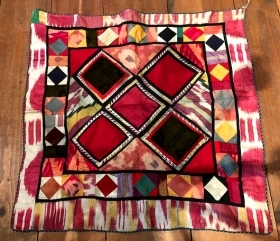 Central Asian ikat quilt measuring 47" x 85"
Central Asian patchwork with silk ikat. 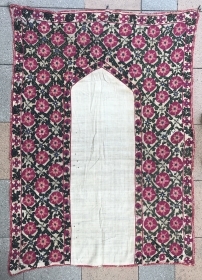 Measures 39" x 38"
18th Century Khotan With Saph Design.It Has Perfect Colors Size 107 x 290 Cm Completely Original Untouched One. 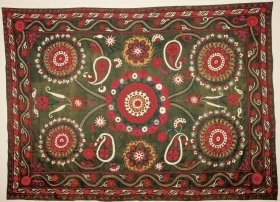 Djzak suzani,late 19 th.century.unusual green main color.size 220x 130 cm. 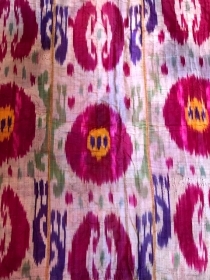 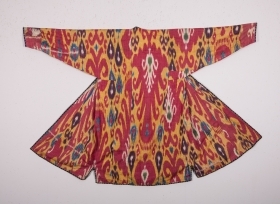 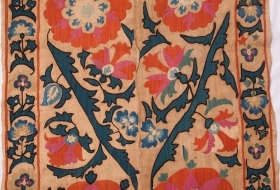 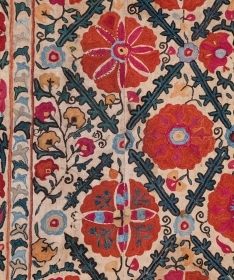 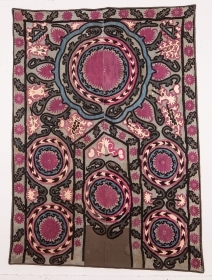 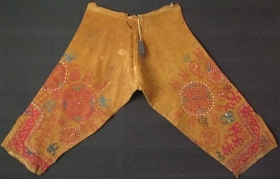 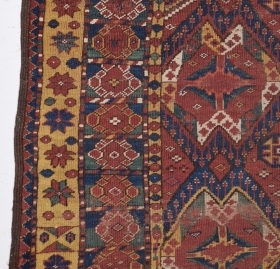 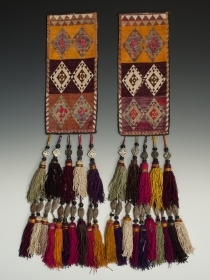 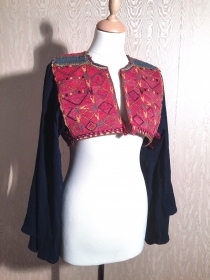 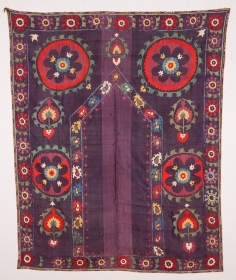 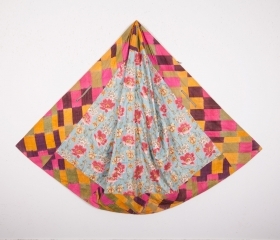 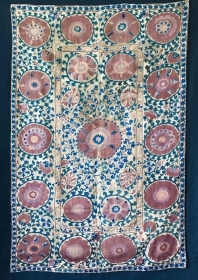 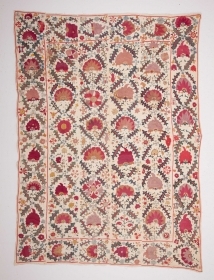 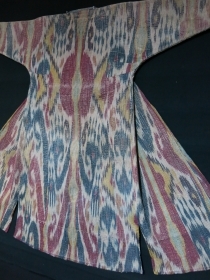 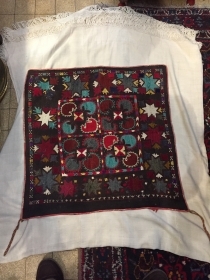 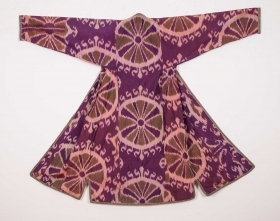 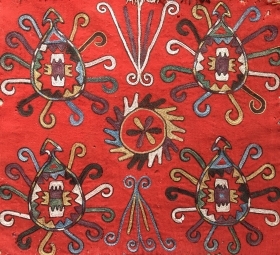 Late 19th c Tashkent Suzani with natural dyes. 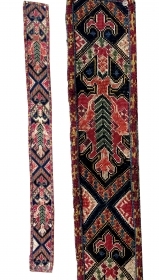 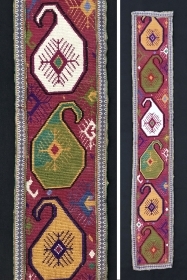 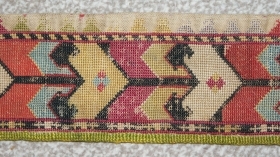 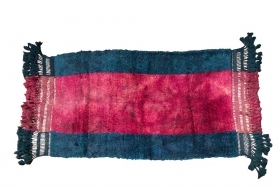 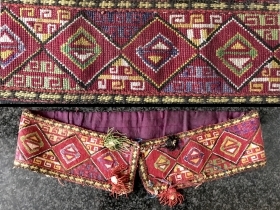 Antique Uzbek cross stitches belt, Spectacular silver, and colours. 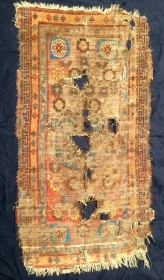 Offered fair price. 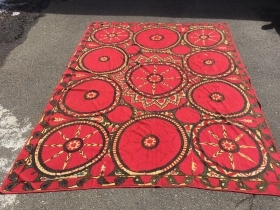 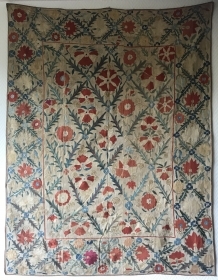 Uzbek suzani .silk on silk embroidery.19th.century.size 330x 210 cm.good condition. 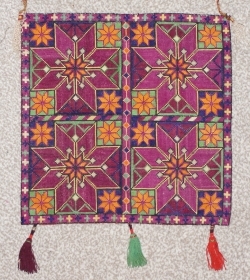 beshir ? 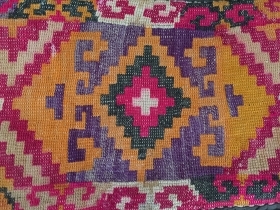 all colors natural colors , MAD....51x48cm old repairs. 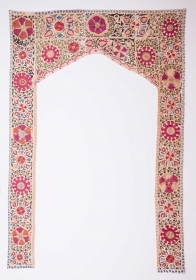 Beautiful Nim Suzani . 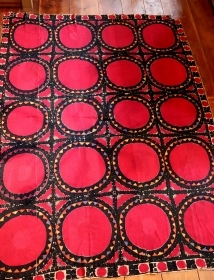 Circa 19th , size : 128x100cm , great condition and clean . 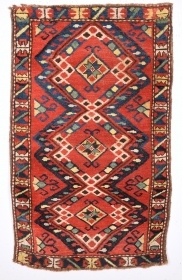 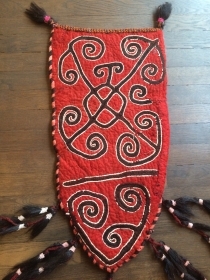 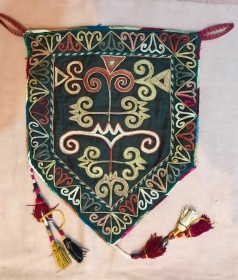 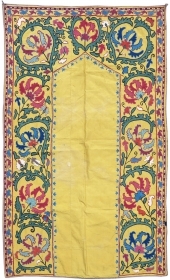 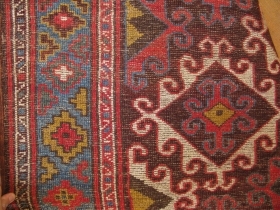 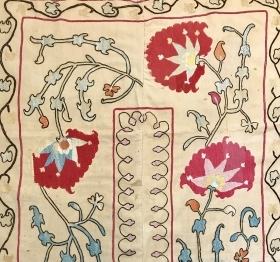 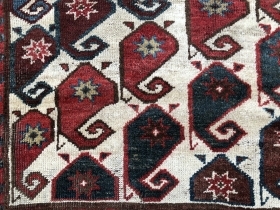 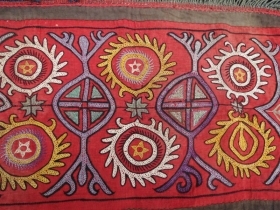 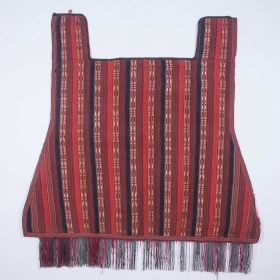 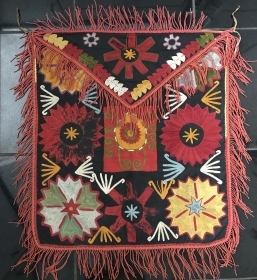 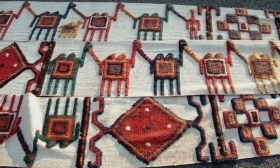 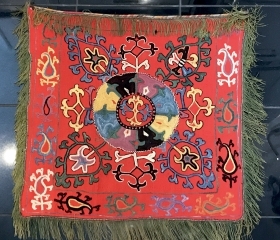 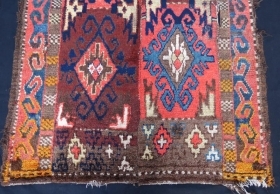 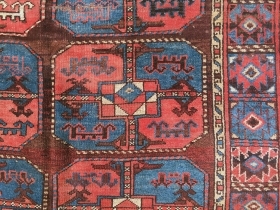 19th Century Karakalpak Beauty Bagface.All The Colors Are Naturel And Untocuhed One.It'sin Good Condition.Size 37 x 43 Cm. 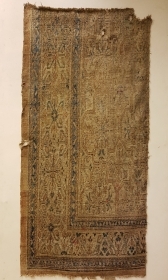 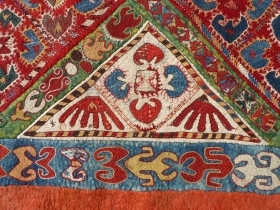 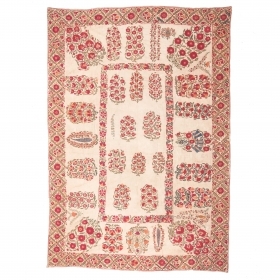 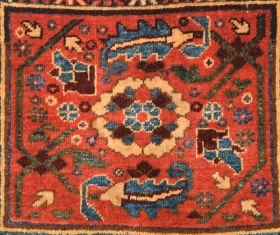 Ersari Beshir Rug Late 19th Century, five beautiful ranks size160 x 300 cm 10'0"x5'2"
Central Asian-Kyrgyz Rug-Late 19th Century Size: 325 x 135Cm 10'8"x4'6"
it is a beautiful Uzbek hand made Lakai. 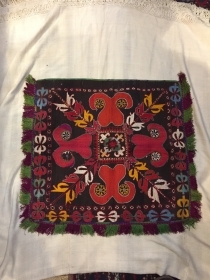 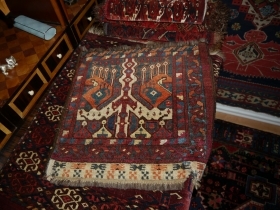 It is a beautiful old Uzbek lakai 100% whool hand made.